Performer Jesse Einstein has his work cut out for him in The Red Country, the third and final instalment of Sylvia Kelso’s dragon fantasy trilogy, Rihannar Chronicles. Kelso specializes in made-up words and long descriptions of an imagined landscape and people, while Einstein’s staccato may be said to be anything but sensual or lush. 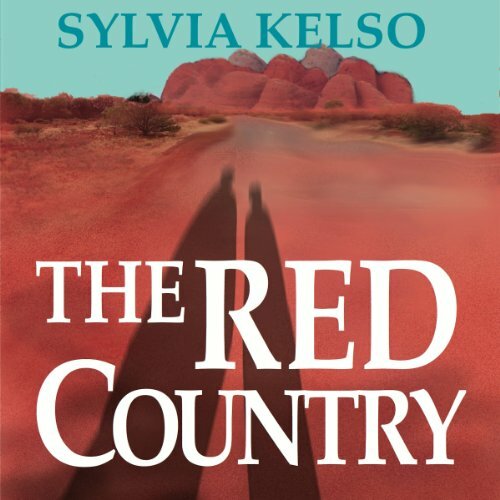 The Red Country focuses on Princess Selithar and her journey across the Red Country (based on Central Australia) in search of aid for her ailing people. Romance, politics, and the independence of a young woman’s spirit are signal themes. The Red Country may be enjoyed as a stand-alone. Introducing the princess and the mage.He doesn’t do well with people. She isn’t so good with tact. But to survive an imperial invasion the wild, beautiful, fragile desert of Hethria will need them both. She knows about tactics. He understands reality. They both love Hethria. But what if, to save something you love, you have to change yourself? Some wars you just can’t win alone. The Red Country is the third book in the Chronicles of Rihannar, successor to Everrran’s Bane and The Moving Water, praised by reviewers for the depth of their world-building and attractive characters. In this vividly realized high fantasy, love and magic are tested to the utmost in the struggle for a land whose spell, once experienced, is impossible to escape. ©2008 Sylvia Kelso (P)2013 Audible, Inc.